Advertise your ride here to get it ridden and rated! 5 years ago today, marks the day of my first upload here at coastercrazy.com, what better why of celebrating than with a new ride. Based off of Mortal Kombat's Sub-Zero character. 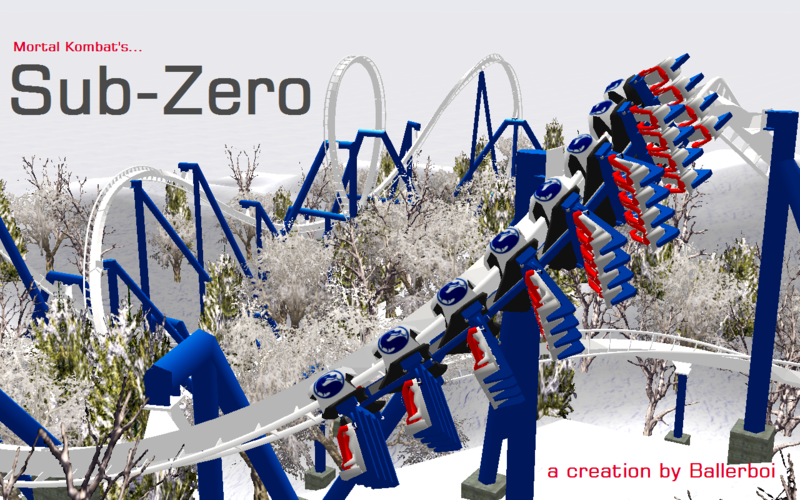 Inspired by the many great B&M inverted roller coasters. I wanted to create a terrain coaster like Nemesis, but a big coaster like Montu or raptor. features: 2 overbank turns, and 2 dark tunnels. trains: 3 trains, 8 cars per train.